Have you ever had someone pass you their headphones to hear a song, and had your ears blasted by an outrageously loud volume level? Well, by default, anyone can crank the volume up on music played from an iOS device to 100%. That may sound like no big deal, but there are situations where listening to music that loud could potentially be problematic, leading to inattentiveness to the outside world or even theoretical hearing issues. This is particularly important for kids, who may not realize that the volume level is harmful. Thus, if you or your kids listen to a lot of music with headphones on from an iPhone, iPod touch, or iPad, you may want to consider setting a maximum volume limit for the Music app. 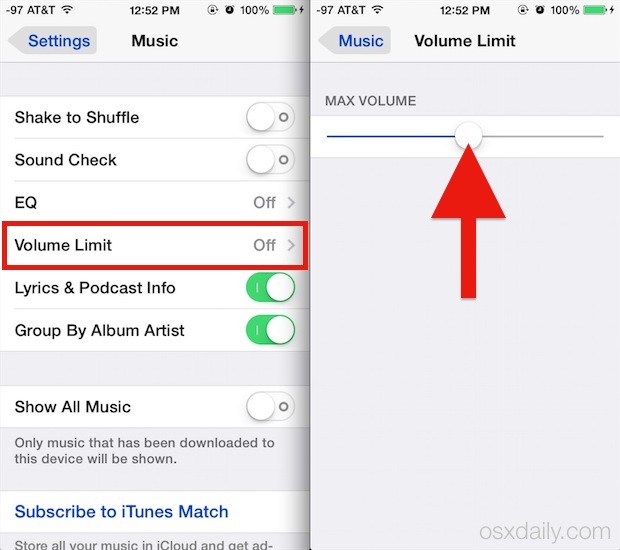 Maximum Volume is an optional setting which sets a system wide volume limit that overrides whatever the Music app Volume setting is adjusted to. This means that even if the Music app is set to 100%, if the system volume limit is set to 50%, the music will not reach beyond that 50% setting. This can help to prevent a variety of issues from listening to music thats too loud, and can be a good trick to protect the hearing of sensitive individuals, especially kids who may be playing with the physical side volume levels, but even for those of us who just listen to a lot of music with headphones on or earbuds in (and yes, the volume limit does apply to soundport AUX audio output too). With a volume limit cap set, you can launch the Music app and start playing a song or radio station to immediately hear the difference. Again, this may not be a big deal for many iPhone, iPod, and iPad users, but it can be a really great tip for parents and educators to prevent issues with blasting audio. But what about the few songs or audio tracks in a Music library that have much lower audio levels, and are hard to hear without cranking the volume up? iOS has thought of that situation, with a separate unique setting called ‘Sound Check’, which evens the volume levels out of played audio so that all songs are generally played at the same level. That works particularly well with the Volume Limit, and is a good additional trick to use. Be mindful that some third party headphone brands have their own volume controls on their physical hardware as well, meaning that despite setting a volume limit for the Music app, the headphones themselves may be able to play something extremely loud and at a harmful level. If you use a pair of headphones like that and share them with children, you may want to set a lower iOS Volume Limit to accommodate for any extreme levels. This covers the iOS world with an iPhone and iPad, but the Mac and many apps like iTunes have similar features for music and volume levels too (even getting song specific in iTunes). Similar to headphones however, most external speakers also include their own volume controls too, which can easily override the system setting, so be aware of that and set the limits accordingly. 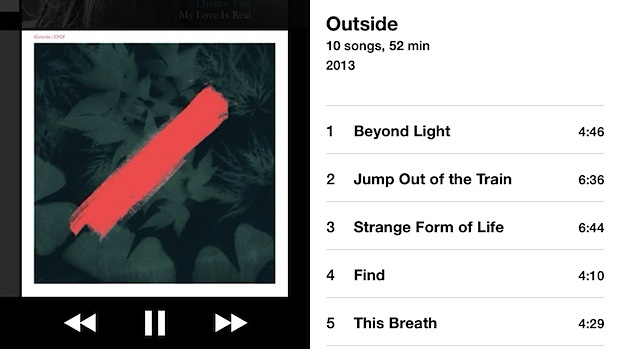 It would be better if it was system wide not just music app. Set once and forget it.